Play is essential human experience. Play brings us together and enables emotional connect. Games in provide a valuable context in which we take creative action, explore our emotions, learn, interact, and live. 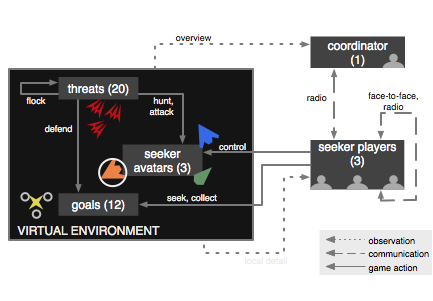 The Interface Ecology Lab identifies digital games as a compelling domain in which to investiage human-computer and human-human interaction. Through play, gamers develop unique skills, experiences, and relationships. This makes gamers an interesting demographic for study. Drawing from their unique context, gamers provide new perspectives and insights on problems traditionally studied in other domains. A complex culture has emerged around games. New social media forms, such as live-streaming, enable gamers to share play experiences and form new communities. We are working to understand these new media forms and play communities. We aim to leverage our understanding of play and games culture to not only create new meaningful play experiences, but to inform our understanding and design in other contexts. 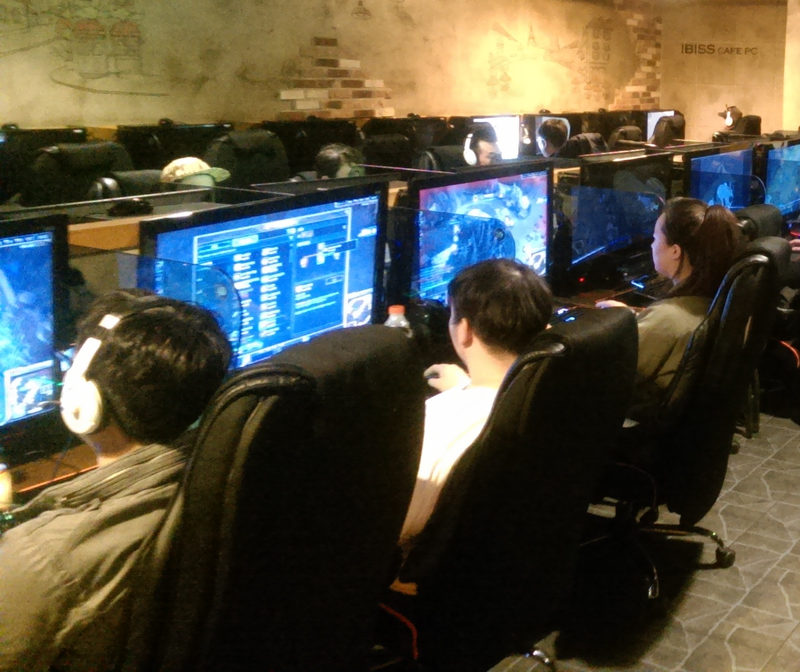 We developed a series of digital games for Teaching Team Coordination (TeC). We began with ethnography of fire emergency response work practice, developing understanding of situated contexts, and design principles for simulations of team coordination in crisis response. 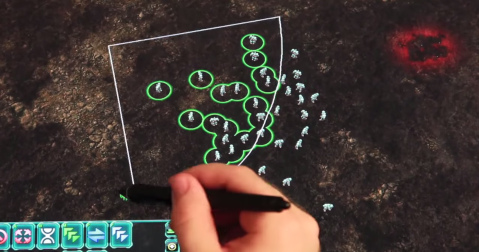 We mapped real-world actions map to game mechanics: players work together to achieve goals and avoid hazards. 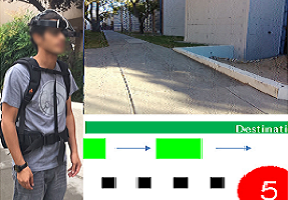 We invented Zero-Fidelity Simulation, a method that focuses on reproducing communication and information distribution components of target environments, to produce engaging, low-cost, and effective educational experiences. Toups, Z. O., Hamilton, W. A., Kerne, A. Zero-fidelity simulation: Engaging team coordination without physical, functional, or psychological re-creation, Proc. MODSIM World 2011, 451–459. Toups, Z. O., Kerne, A., Hamilton, W. Motivating Play through Score, ACM CHI 2009 Workshop on Engagement by Design. Toups, Z. O., Kerne, A., Location-Aware Augmented Reality Gaming for Emergency Response Education: Concepts and Development, CHI 2007 Workshop on Mobile Spatial Interaction, San Jose, California. Toups, Z. O., Graeber, R., Kerne, A., Tassinary, L., Berry, S., Overby, K., Johnson, M., A Design for Using Physiological Signals to Affect Team Game Play, Proc Augmented Cognition International 2006.